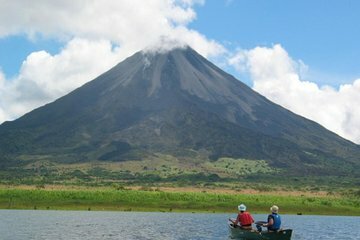 From San Jose, the easiest way to take a day trip to Arenal Volcano is on a guided tour. All transportation is included by private vehicle so you don't have to deal with slow public transit, and logistics such as lunch, dinner, and entrance fees are already planned and included in the ticket price. After visiting Arenal Volcano with a guide, head to Baldi Hot Springs to soak in thermal waters before returning to you San Jose hotel.